Check Out These Interesting Alternatives to Wedding Cake! Tiered dessert arrangements: Just because you don’t have cake at your wedding doesn’t mean you can’t have an aesthetically striking tiered arrangement. Instead of a tiered cake, try a tiered arrangement of doughnuts, cookies or other small desserts. Single-serving desserts can be plated and served much easier than a cake can, which means you and your guests can focus on enjoying the party. Cupcake towers: For a dessert option that still allows you to enjoy the delicious tastes and textures of a wedding cake, opt for some cupcakes. You can choose between full size cupcakes or mini cupcakes and add unique garnishes to really make your desserts stand out. You can even add an edible version of your wedding monogram for a personalized touch. Breakfast for dessert: Whether you have a morning wedding or you simply love breakfast fare, you can incorporate some sweet breakfast dishes into your big day. Add a pancake or waffle bar with fresh berries, syrups, chocolate chips and other favorite toppings so that your guests can customize their dessert. Seasonal desserts: You put a lot of thought into the time of year when your wedding will take place, so why not serve a seasonally appropriate dessert? For summer weddings, incorporate fresh berries and peaches into your dessert options. In the fall and winter, pumpkin pies are a classic, crowd-pleasing option. Buffet-style dessert: Desserts are delicious—so why should you choose just one? Put it all out there with a dessert buffet full of various cakes, pies, truffles, cookies, candies and other sweet favorites. You can even incorporate a s’mores bar for something extra special. 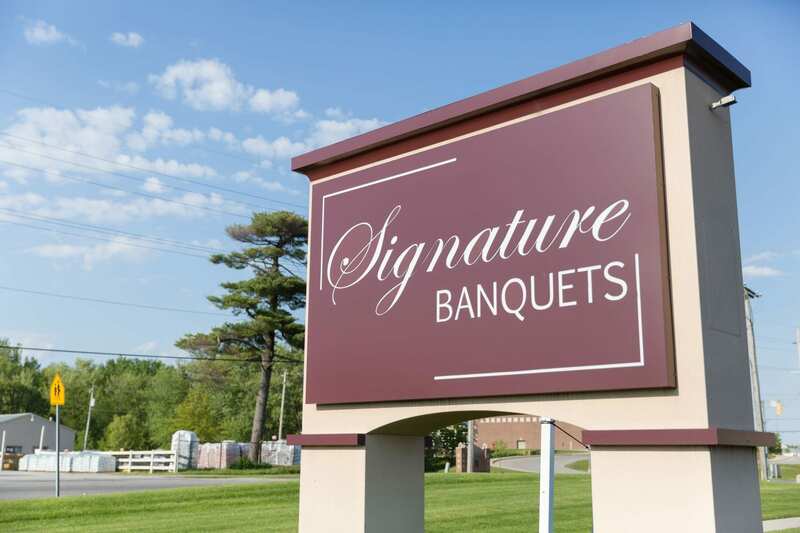 At Signature Banquets, we want your personal style and preferences to shine through on your big day, which is why we can work with you to create a dreamy food and dessert menu that your guests will rave about for years to come. We have a range of delicious breakfast, dinner, appetizer, drink and dessert options for you to choose from for your special event. We are proud to be a family owned and operated business with decades of experience turning our clients’ dream event into a reality. Whether you have classic tastes or you want to serve something truly one-of-a-kind to your guests, we can help you. Give us a call to learn more and to get assistance from a professional event planner in Northwest Indiana.